This post is written by Jim Ellison, co-owner and tour coordinator of Columbus Brew Adventures. You can connect with Jim on Facebook, Twitter or Instagram. This post is part two of a three-part series discussing events in the Brewery District. A few weeks ago, I explained what makes the Brewery District the perfect spot for events, so now let’s talk about venues. There are many to choose from, so I will list out all of them and highlight a few along the way. The new kid on the Brewery District block is Copious/Notes, a wonderful restaurant and music venue that just happens to also offer the McGowan Loft, with seating for 250 plus. 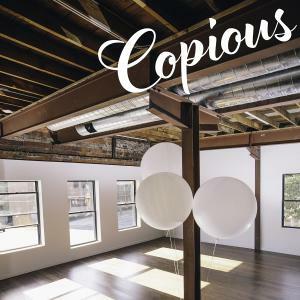 If you need more space before, during or after your event, then add in Copious on the ground floor and Notes in the basement. And forget shuttling food in, it can all be done in-house with a beverage manager who is one of the best in the business, so all angles are covered in one place. 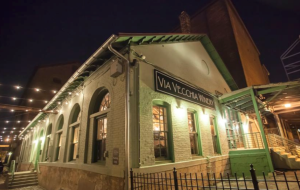 If a historic setting or naturally made wines are what will blow your guest’s minds, then Via Vecchia is the way to go. The building dates back to the late 19th Century when it was part of the Hoster Brewing Company. Today, the winery makes award-winning wines that caught the attention of Isabelle Legeron&apos;s RAWFAIR - one of a handful in North America that made that cut. The character and intimacy of the space create an experience that is hard to replicate elsewhere. Perhaps you are looking for a more modern, urban aesthetic that also happens to have a patio? Then Vue may be your venue of choice. Vue is a highly adaptable space, specializing in creative and energetic offsite team meetings and &apos;urban-elegance&apos; wedding receptions. For some, any event needs to be built on a solid foundation, and if that is the case then you can’t do better than Brick: An American Kitchen. The bar and restaurant hosts a cellar that is stellar for all types events, from corporate outing to rehearsal dinners or even the main matrimonial event, at more than 50 feet below street level, your secrets and revelry will be safe underground. The places above are just an appetizer, as there are plenty of other great spaces in the area, such as High Line Car House and Greystone Wine Cellar, which also offer wonderful spaces in historic buildings. If you are feeling creative and want to go out of the box, then Shadowbox Live can offer you an intimate space where guests can connect with the arts and culture in a building that once served as the stable for Hoster Brewing Company.